Cranial cruciate ligament injuries (CCL) are a fairly common medical problem for dogs. These can be treated, but usually require surgical intervention, which can be expensive, and includes several months of recovery and restrictions. We at Blue Lake Animal Care Center are able to help your pet through the diagnosis and treatment of this condition. If necessary, we can also refer you for care if ideal elsewhere. Symptoms can come on gradually as the ligament worsens with time. Some pet owners do not even notice anything until after complete rupture. 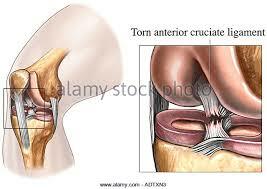 The diagnosis of a cruciate ligament injury typically involves a complete physical exam by a veterinarian. During the exam, we will carefully examine the knee, hips, and other joints to assess any instability or pain. Specific tests such as a sit test, cranial drawer, and tibial thrust are performed for cruciate function. X-rays are usually obtained if warranted, which do not show tears in the CCL, but help to assess the condition of the knee. 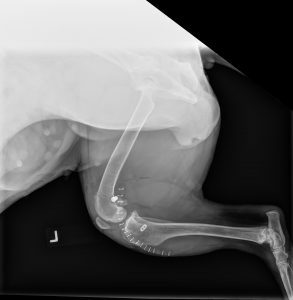 In addition, measurements are taken of the joint to determine the best options for your pet’s recovery. Blood work and other diagnostic tests may also be performed to rule out underlying illnesses. Cruciate ligament injuries are rarely seen in cats. It’s important to treat for a cruciate ligament injury. Although it often appears to improve over time for many pets, especially with small dogs, a damaged ligament will lead to painful issues in the future, such as arthritis and meniscal tears. There are some non-surgical treatment options, which may be useful in with smaller dogs(less than 20#). This typically includes medications to control pain and reduce inflammation along with restricted activity to rest the knee. If the dog is overweight, some gentle exercise might be recommended to help improve overall health. Consultation with a rehabilitation veterinarian can also be useful to maintain strength while injured. Unfortunately, almost all dogs over 20# will recover better with surgery. Again it is important to understand…..the knee with tighten with scar tissue with or without surgery. Without surgery, the knee will likely scar down and tighten in an abnormal(forward) position, causing constant meniscal pain and injuries. One of the largest misconceptions pet owners have is that with time, their dog’s injury can heal on its own. Sadly, ligaments have very little blood supply. As such, their ability to heal on their own is virtually impossible. Once a tear begins, it inevitably only leads to additional damage with time. There has been some recent interest in knee braces to help treat dogs with cruciate ligament injuries. Benefits of these new treatment options for dogs have never been proven through research, and we do NOT recommend them. While they have been shown to help humans with ligament injuries, there are significant mechanical differences between human and canine knee joints. Humans are erect and do not use their ACL(not CCL) as a weight bearing mechanism like dogs do…the science does not support knee braces for dogs like people. Surgery is usually the preferred option for canine cruciate ligament injuries since it is the only way to control forward instability in the knee joint during weight bearing. There are several different surgical techniques. When to use them is based on surgeon’s experience, size of patient, lifestyle for return to function, anatomy of the joint, and of course, cost. Lateral fabellar – In this procedure, the veterinarian uses sutures (stitches) to tighten the ruptured ligament. 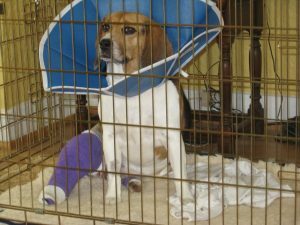 This repair can be less costly, but is often reserved for smaller dogs, as the material can stretch quickly or fail if the pet’s knee anatomy stresses the material. Extracapsular(Tightrope)-This procedure uses a kevlar or similar fiber with titanium washer to replace the torn ligament. It’s placement mimics the original CCL more closely than sutures, and will not stretch with time, but the materials are more costly. This is the technique offered here at Blue Lake Animal Care Center. Osteotomy(TPLO,TTA) – These surgical techniques is more expensive and requires sawing the bone(tibia) and rotating the tibial plateau angle, allowing the knee to become more stable. 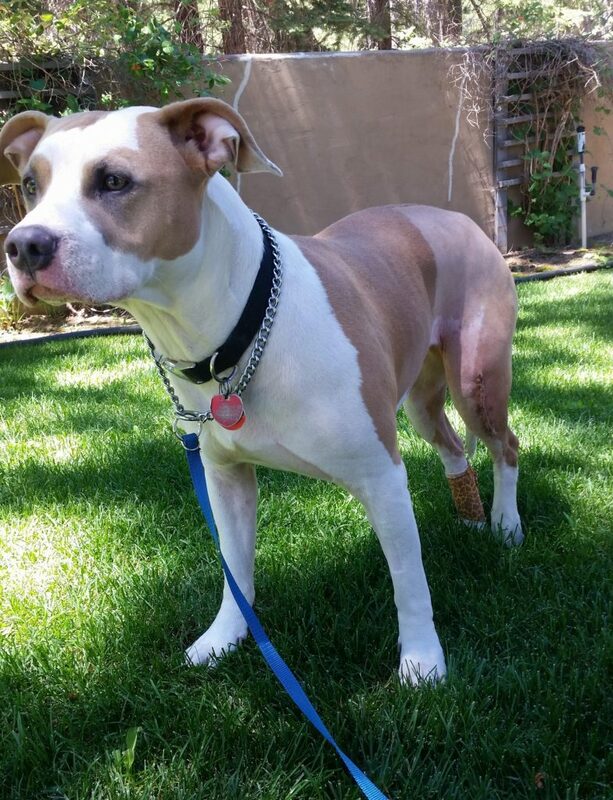 These procedures usually cost more than other options for repair, but are beneficial in larger dogs, and dogs with steep tibial plateau angles. Like all surgeries, complications such as infection or surgical failure can occur. Approximately 10% of all dogs who have normal meniscal tissue at the time of surgery will sustain a tear later. The risks can increase in older dogs with existing health conditions, or obese patients. Post-operative recovery and rehabilitation is just as important as surgery itself. You MUST follow your veterinarian’s instructions to ensure the best outcome possible. If your dog uses his/her leg too early, or excessively, it can cause further injury. Restricted activity is usually recommended for the first 12 weeks or more depending on the type of procedure and your dog’s condition. This starts fairly restrictive, and increases gradually over the following weeks. It can be tough to keep active dogs calm and quiet during the recovery. Ideally, use a crate to rest safely when you can’t supervise them. E-collars are mandatory for 2 weeks after surgery. Rehabilitation exercises outlined by your veterinarian are typically recommended during recovery. The prognosis for surgery depends on the situation, but most dogs should be back to 80-90% recovery after 3 months. Some dogs could have arthritis, either prior to or after surgery, which may need treatment. Forty percent of dogs who have a cruciate ligament injury in one leg will develop the condition in the opposite leg as well. This usually is due to structural abnormalities that exist in the joint from birth, and are NOT typically from having the other leg injured. The costs of surgery and other treatments including medications, X-rays, complications, and aftercare can be costly. Depending on location and services available for aftercare, total costs can range from $1300 to $6000+. If your pet is diagnosed, BLACC will discuss your options here or elsewhere, and try to assist in estimations for expense.